Helichrysum: Considered a miracle oil, helichrysum may be the single most important essential oil for skin care and regeneration. It's also one of the most expensive, and worth every penny. Not only calming to the skin (anti-inflammatory), but it multiplies the production of collagen, eliminates free radicals (toxins), activates cutaneous microcirculation, and inhibits lipid peroxidation, which can prevent wrinkles. Powerfully anti-inflammatory, skin rejuvenating and regenerating, analgesic, used for wounds and scar-tissue, and rheumatoid arthritis. Helichrysum is known for the "Everlasting" and "Immortal" Essential Oil that makes the skin smooth, soft and moisturized. This essential oil prevents dehydration and cracking of the skin, stops bleeding and supports tissue repair. 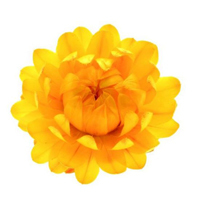 Helichrysum is known for its skin-rejuvenating properties, aiding in the healing of scar tissue, wounds, bruises, burns, acne, eczema, chronic dermatitis, tissue trauma and broken capillaries. It also has remarkable effects on sensitive and inflamed skin, protecting skin from drying and helping relieve psoriasis. Helichrysum is said to have the power to break through the deepest, most "stuck" emotions and can restore compassion for others and oneself. It is also said to enhance intuition. more on helichrysum essential oil . . .
Hemp oil is from the seed of the hemp plant that contains between 25-35% oil by weight, and which has the highest and most complete profile of essential fatty acids of any oil. Both the complete protein and the oils contained in hempseeds (rich in linoleic and linolenic acids as well as small amounts of GLA) are in ideal ratios for human nutrition as well as beneficial to the skin. 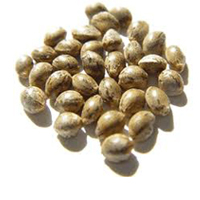 Hempseed oil is used in cosmetics as an emollient. Antimicrobial properties make it a useful ingredient for soaps, shampoos and detergents. Hempseed oil also provides some natural sun protection. The above ground portion of horsetail is used cosmetically for its nutritive properties. Its active constituents include: flavonoids, caffeic acid derivatives, sterols, rare carboxylic acids such as equisetolic acid (named after the plant), and saponins. It is used in facial steams, toners, lotions and bath herbs. Horsetail is astringent and antioxidant, and as a result is excellent for oily skin and enlarged pores as well as edema (water retention). It is also used in shampoos, conditioners and hair rinses for oily hair and dandruff as well as to strengthen fragile hair. Drinking horsetail regularly as a tea is said to help strengthen the growth of hair and nails and prevent brittleness.